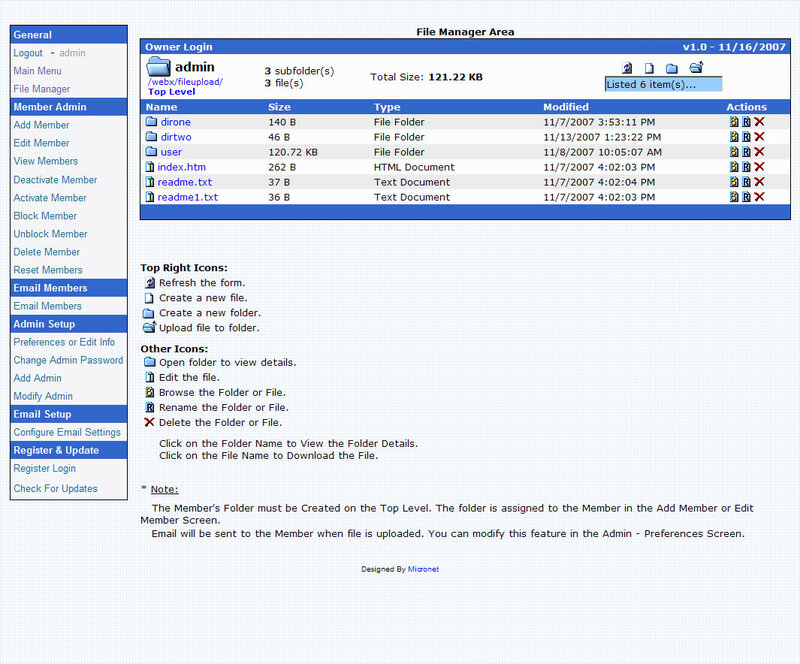 Webx is a web-based file management system for sharing files with user permissions. It features easy user interface and online administration which will allow you to manage users. An ASP component which enables a script to create zip archive files. Qweas is providing links to Webx ASP File Management 1.0.0 as a courtesy, and makes no representations regarding Webx ASP File Management or any other applications or any information related thereto. Any questions, complaints or claims regarding this application Webx ASP File Management 1.0.0 must be directed to the appropriate software vendor. You may click the publisher link of Webx ASP File Management on the top of this page to get more details about the vendor.